I moved to Canberra after completing studies to obtain a Diploma in Web Design with Polytechnic, Tasmania in 2010 and am currently working in the Public Service in Canberra as a software developer. I have four precious daughters who love the Lord dearly and whom you can listen to at gatesopen.martintw.com. I know Jesus went through such great agony, and the Father felt such depths of pain to obtain such a wonderful salvation for us. Such a precious gift from an infinitely loving and merciful God makes me appreciate the need for others to turn their lives over to Him, else suffer the horrendous consequences of eternal punishment for their hostility towards God and His love. God has committed the work of making disciples into our hands as matter of principle, whether we believe it or not and whether we like it or not. family fellowship events with a Gospel flavour. street ministry of various kinds. outreach in times past with FGBMFI. 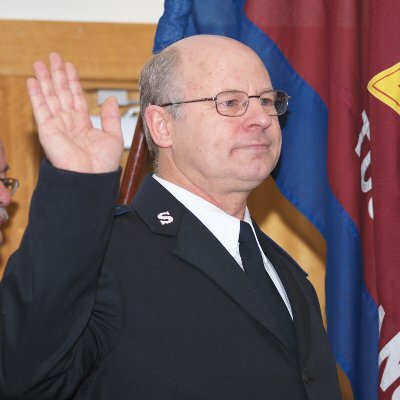 I was sworn in as a salvation army soldier on 9/10/11 at the Tuggeranong Corps. In recent years I have been seeking the Lord to engage in evangelism in a greater capacity. I have taken time to look at how evangelism has worked in the past, and the words "Make disciples" (see Matt 28:19) have persistently rung out. God is looking for Sons who know the Father and are established in His Kingdom for His glory, not just people who thought it was nice of Him to be so gracious and save them only go on living as they are! Towards the end of 2017 and at the start of 2018, a rallying cry for a "GOD REVOLUTION" began under the banner of "Australia For Jesus." I have since been asked to undertake a Coordinator’s role for the ACT and elsewhere in SE NSW to establish prayer/outreach groups.